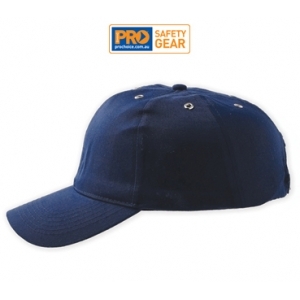 The bump cap is a base ball style cap that has extra foam padded protection to help protect against mild bumps and scrapes, These are not intended for uses where approved hard hats are required. The cap is made from 65% cottom/35% polyester and has eyelet holes for added ventilation. They are lightweight and fully adjustable to suit all head sizes. Available in navy colour only. Complies to EN812 - Industrial bump cap standards.